Williams announced on Wednesday she is 20 weeks pregnant, but is planning to return to tennis in 2018. 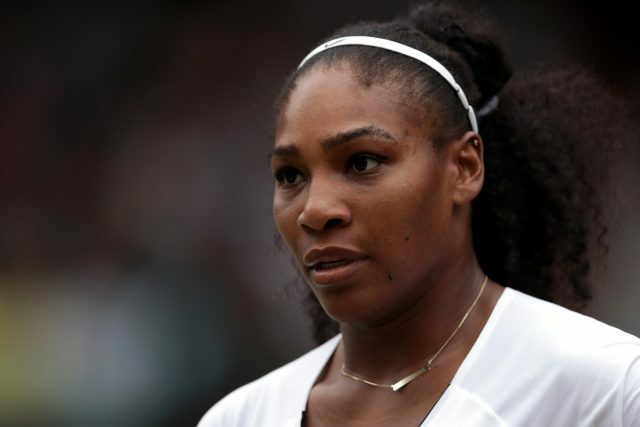 Johanna Konta has pledged to try to take advantage of Serena Williams’ absence from the tour by competing for grand slam titles. Williams will miss the rest of the season after announcing on Wednesday she is 20 weeks pregnant, but is planning to return to tennis in 2018. The 35-year-old has not played since winning the Australian Open in January in the early stages of her pregnancy but will return to world number one on Monday. The inconsistency of the other top women has left a void at the top of the game, and Konta is one of the prime candidates to fill it. Only Karolina Pliskova and Caroline Wozniacki, neither of whom has won a slam title, have accumulated more ranking points in 2017 so far. And, after trying to help Great Britain into World Group II of the Fed Cup against Romania this weekend, Konta will attempt to build on her victory at the Miami Open earlier this month. Commenting on Williams’ pregnancy, Konta told BBC Sport: “I’m actually really happy. I think that’s such great news. She really is having quite a full year, isn’t she? Massive congrats to her. “I think the depth in women’s tennis speaks for itself right now. We’ve had multiple other grand slam champions alongside Serena Williams in the past couple of years. Williams, who became engaged to Reddit co-founder Alexis Ohanian in December, posted a picture on Snapchat showing off her baby bump only to hastily delete it. But her publicist confirmed the news on Wednesday evening, with Williams due to give birth in the autumn. By aiming to return to the game, Williams will follow in the footsteps of Victoria Azarenka, who is preparing for a comeback this summer after the birth of her first child Leo in December. "Auntie Caro" sounds pretty good to me☺️???? Everyone around me getting pregnant! What a beautiful time ????????❤️???????????????????????? There are precedents for female players making successful returns to tennis after becoming mothers. Kim Clijsters won three of her four grand slam titles after the birth of her daughter Jada, including the US Open in only her third tournament back in 2009. @serenawilliams ??? ?❤ ????!! You will be such an amazing mother and I wish your family health and happiness for the best journey in the world ???? Margaret Court, meanwhile, whose all-time record of 24 slam singles titles Williams stands one behind, had three children during her career and only retired when pregnant with her fourth. Azarenka, a good friend of Williams, told fedcup.com: “I’m really, really happy for her.